This year I had more men in my life that I needed to get gifts for. I don't know if it's just me, but I found it more challenging than finding gifts for my ladies! Here are my gift ideas for him. I hope it helps your Christmas shopping! 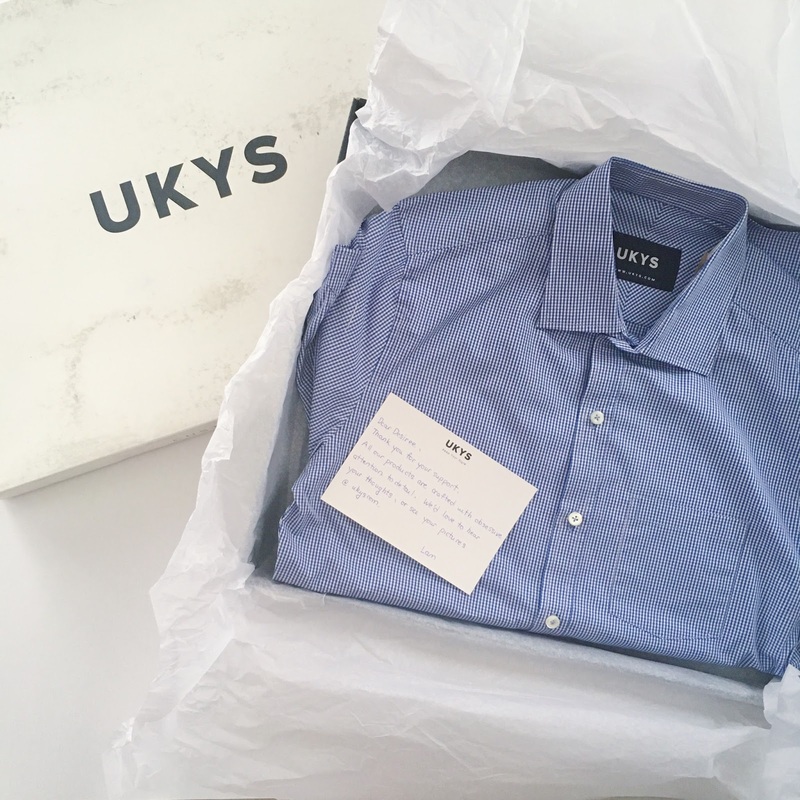 Men can be very picky with their dresswear, and a custom UKYS tailored shirt* would be an awesome gift, especially if he wears it daily for work or if he like to have quality formal pieces. You can choose everything from colour/print, type of collar, fit, type of cuff, length of shirt, etc. The recipient would use the UKYS app (Android and iOS compatible). It gives detailed instructions of how to take specific photos that would be used for measurements. This UKYS Blue Checked Shirt was this year's Christmas gift to my brother and he really likes it! They do custom tailored suits as well! Check out their Kickstarter campaign for their app here. 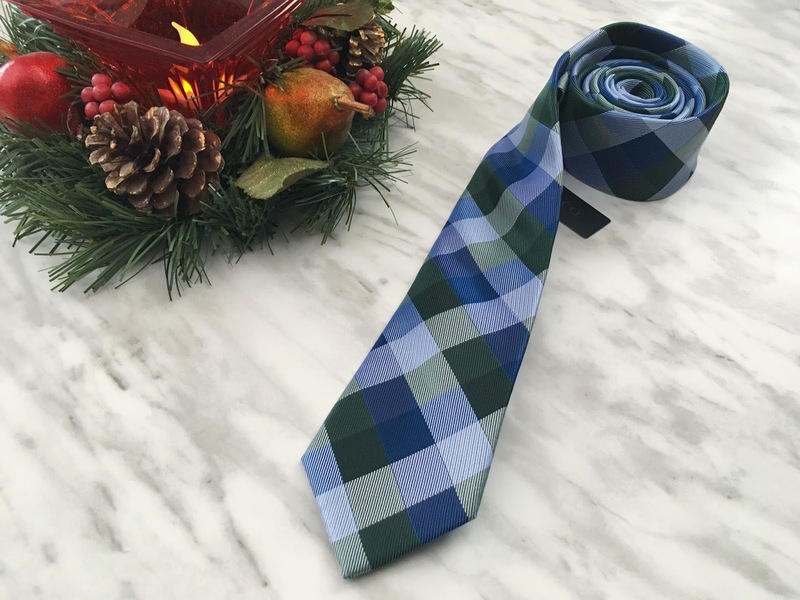 Following along the dresswear train that I started, a tie is a nice smaller gift to add to their dresswear. This one is from RW&Co, one of my favourite stores to find office and dresswear. 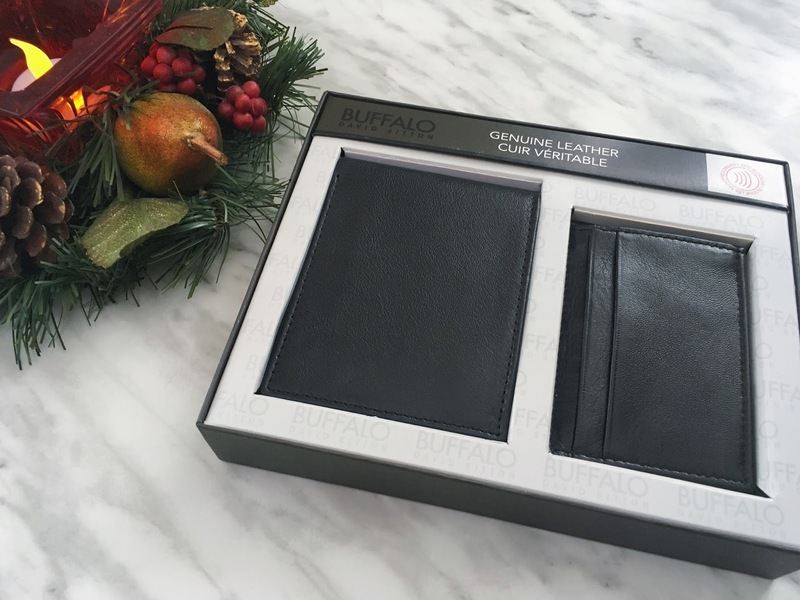 This genuine leather Buffalo by David Bitton wallet is a practical gift! Men's wallets wear out over time so this will definitely be put to use. I actually found this at my local Costco! They have a variety of holiday gift options there. 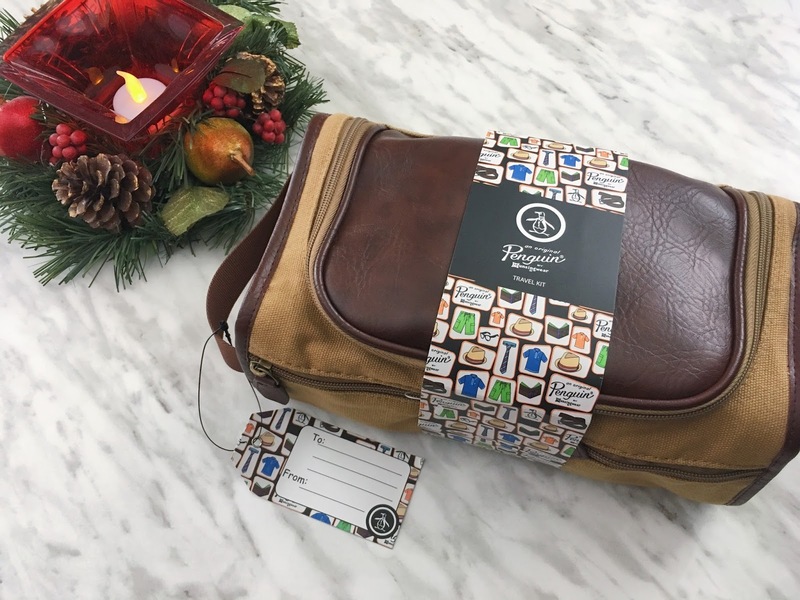 I thought that this Penguin Travel Kit would be a good gift for the guy friend who travels. Whether they use it for toiletries, to store their electronics, or to hold their socks in one place... this case will serve some sort of purpose on their travels. This one has leather details and exterior pockets as well. So the bf built his own computer in the past year, and a webcam was the only component that he didn't have yet... so I decided to purchase one for him as his gift. 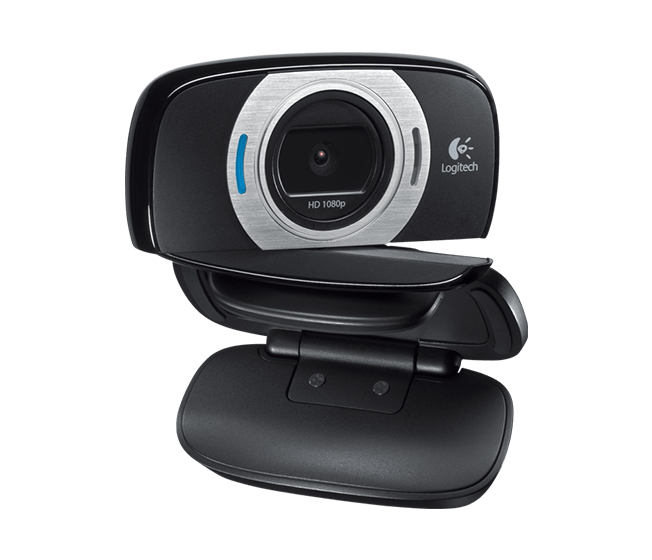 I got him the Logitech HD Webcam C615. I may have given him more reason to game but now he also has no excuse not to Skype me whenever I ask. :P Consider any other computer or techy stuff for your male friends! Working in the optical industry, I know and appreciate the importance of sunglasses for protection and comfort. 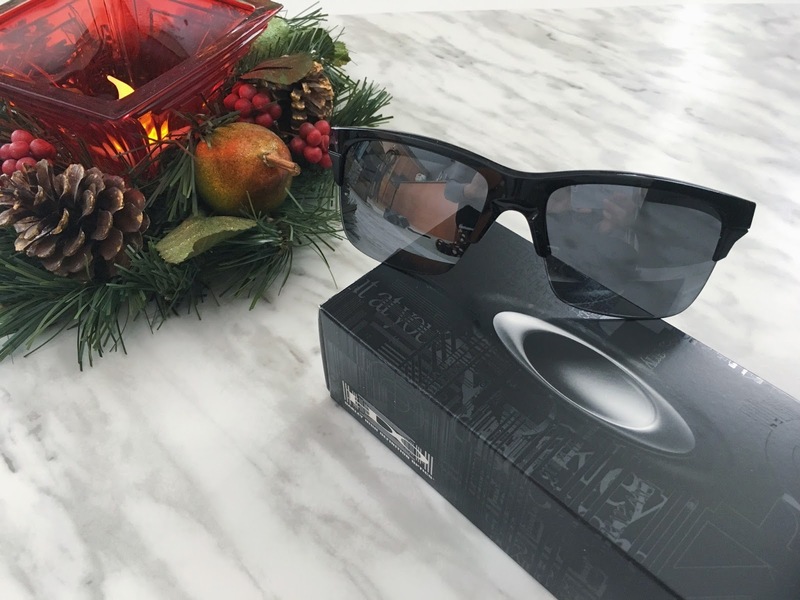 The Oakley Thinlink is light in weight and is a good mix between a sporty and daily look. There is an option to have this in an Asian fit, which is so beneficial! 1. A ski pass or lift ticket to Blue Mountain Resorts for some fun times skiing/snowboarding. 2. A Bodum Stainless Steel French Press Travel Mug to make fresh tea and coffee on the go. 3. A Helly Hansen Business Beanie to stay warm and stylish in the winter weather. 4. A MVMT Watch to have some good-lookin' and affordable wrist candy. There's only a week or so left till Christmas so get going with the shopping!